Following their remarkable results at Spa-Francorchamps and Monza, Racing Point Force India now find themselves having to reapply team orders after their two drivers came to blows in Singapore. 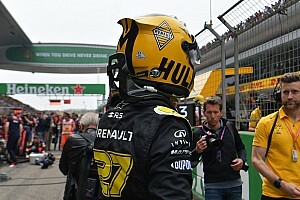 The team's quest to recover lost ground in the constructors' championship was hampered when Sergio Perez and Esteban Ocon collided on the first lap, sending the latter into the barrier and out of the race. With both drivers starting in the top ten, Perez initially held seventh place in the opening couple of corners. However, with Ocon challenging around the outside of turn three, the front-right of Perez's car came together with the front-left of Ocon's car, which was enough to send the Frenchman into the barrier on the exit of the corner. Ocon was visibly very frustrated with the incident, but Perez remained adamant that he didn't see his team-mate when the pair collided. "It was very unfortunate," said Perez. "As I'm picking up the power in Turn 3 I just get a contact from another car, on my front tyre. I did not even realise at the time that it was Esteban. "As I got it through the radio I was quite sorry for the team, because I thought we were on to a great day today, with a lot of points." Ocon remained diplomatic after the race and refused to comment on the incident other than saying Perez had apologised to him. "He apologised to me, in the room he said he apologised," Ocon told Motorsport.com. "But it's not because of that that everything's gone. "The only thing I look at at the moment is that we come home with no points on a weekend where we should have been both in the points, getting strong results. "We had the pace for it. And yeah, it's a terrible situation to be where we are now. "That's all I can say, there's nothing else to comment about. No, it's not the same situation as last year, we've turned the page from there. And that's it really." With the result costing Force India a chance of gaining more points in the constructors' championship, team principal Otmar Szafnauer believed that Perez should've left more room for Ocon and confirmed that team orders will now be in place for the rest of the season. "I didn't remind them here, maybe I should have done, but they know it now, and again they're not going to race any more if they can't do it. The Mexican driver's day would only get more controversial after a mid-race tangle with Williams' Sergey Sirotkin. Whilst the Force India pair qualified in the top ten, they were hindered by having to run the hypersoft tyre in the opening stint of the race. Perez's pit stop put him behind Sirotkin, who was running much slower on the soft tyre, and allowed the midfield rivals on ultrasofts to stay out and gain track position. 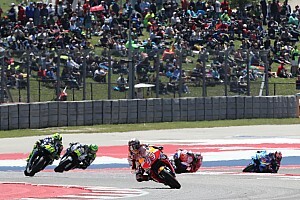 With Perez stuck behind for several laps, he eventually made a move into turn sixteen. However, Sirotkin fought back into seventeen and still had part of his car alongside Perez. Perez moved across and collided with the Williams, which damaged both cars and earned the Force India driver a drive-through penalty, which he accepted as a fair punishment. "In the incident with Sirotkin I closed the line a bit earlier and I got a well-deserved penalty," conceded Perez. "And then as I was going through him, I tried to close the door but I think he was too close." 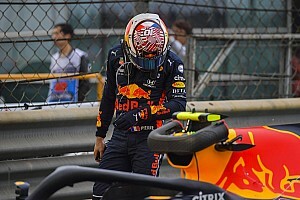 With Perez running ahead of Renault's Nico Hulkenberg - who went on to finish in tenth place - it can be assumed that the Force India would've been able to take at least a point from the Singapore Grand Prix. 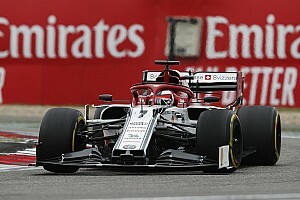 However, their score-less race means that the gap between themselves and McLaren has increased to 26 points, following a seventh-place finish for the Woking team. Do you think the Force India drivers should be allowed to race for the rest of the season? Do you think the punishments fit the crime? Leave your comments in the section below.